The process of moving to a new home can be overwhelming. You need to make many decisions in a very short period of time. Among the things you have to think about and determine are the moving date, how to acquire supplies, deciding on the right removal companies to hire and many other things. These many things are accredited for the wrong decisions that most of the people who are moving make. To avoid all the stresses, one might be tempted to take a shortcut, which can only bring more stress in the course of the process. But you can eliminate the fears that you’ve heard from people and the self-doubt when looking for best removal companies by following these tips. To ensure that you are only dealing with genuine removal companies, you have to check whether they are licensed. This will help you avoid entering into contracts with rogue movers as well as scams. The law requires all movers to be licensed in order to operate, thus showing you a license should be among the irreducible minimums for you to hire any of the removal companies that would have sent you quotations. Have they ever dealt with your type of shifting? 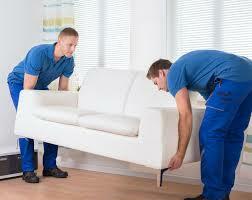 You are not looking for removal companies that will come to start practicing with your valuable items. And for this reason, only go for the removal companies that have been dealing in the kind of shifting that you want. Note that office relocation is not same as home relocation. Thus hiring a company that has specialized in office relocation to help you move your home can be disastrous in the end. Do they provide a liability coverage? And if yes, what kind? Mishaps during relocation are not uncommon. Anything can happen in the process of moving, and thus you need to have all your items covered. The removal companies you want to engage should have multiple liability coverage options for you to choose from. If your shift is interstate, then the movers should have the tow mandatory liability options. These are the Full value protection and the Released value. Ensuring that the company has these will help you be sure of the move, and remove any doubt and fear of a loss in your mind. Why would you hire a company that has no single reference? It is always a good idea to go for those companies that can provide you point of references in order to establish the authenticity of the removal companies. Companies such as The Unbeatable Removals have lots of references, as it has provided quality moving services to thousands of people. The reason why you need to access a reference is so that you can get to know how using the services of the moving company is like, even before you pay them. Failing to adhere to some of these easy-to-do things can only mean that you will have the worst of experiences, and you will be lucky you land any genuine removal companies.